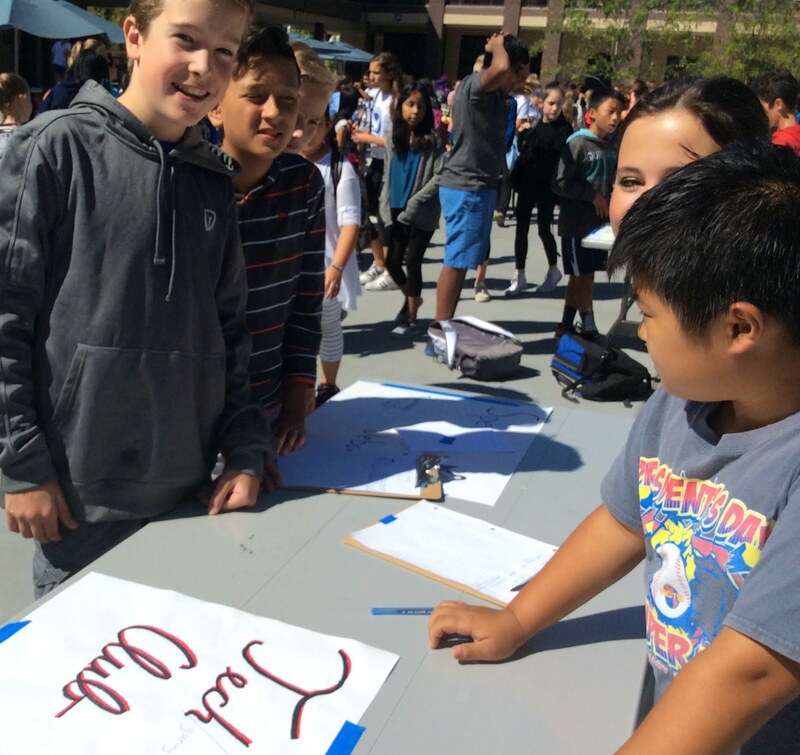 Yesterday, Friday September 30th, Hillview held a clubs fair at lunch in the quad. While it may seem like a small ASB event, this gathering taught Hillview students all about the various meetings that occur during lunch all around Hillview. As Lucia Corona, a 6th grader and member of the Drama Club said, "They're fun and sometimes you get bored at lunch with nothing to do." These clubs bring a great, inclusive culture to Hillview. Students can participate in the Art Club, Anime Club, French Culture Club, Dance and Cheer Club, Tech club, and Go Green Club, among many others. Rachel Warsaw, a member of the Drama Club and 7th grader explained, "They help people connect with each other and meet new people who have the same interests as they do." So, why should Hillview students join clubs? It is valuable to become involved at Hillview and clubs are a great way to do that. "It is important for people to give back to the community because we have so much here, and it is the little things we can do to help that matter," said Gabby Silverman, an 8th grader and member of the Service Club. Gabby is right! However, as Nathan Friedman, a 6th grader who joined both the Service and Gaming clubs during the fair put it, "I thought they'd be fun." Over all, lunch clubs are a fun and exciting way to spend time.